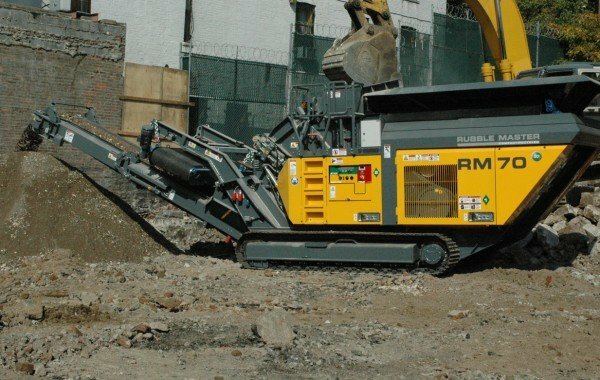 An RM mobile crusher is extremely versatile. Every material that you process comes out of the crusher as cubic final grain. That is how coal is often processed, for example, in some regions of Europe. Railway sleepers are another challenging material that is recycled in no time by RM crushers to form value grain. Do you need to process material that is a special challenge? Contact us and together we will find the optimum solution for you! Major contract with RM 70GO! To crush 15,000 tons of recycling material in a short time while ensuring that the precise quality is achieved is no problem for the RM 70GO! The rapid start-up and straightforward handling made it possible to finish the order working at high capacity.